Jamie Oliver's 15-Minute Meals is now even better in ebook form. 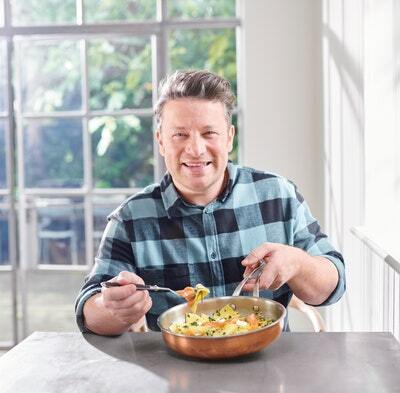 Following the record-breaking success of Jamie's 30-Minute Meals, Jamie Oliver brings us 15-Minute Meals. Packed with delicious, nutritionally balanced meals, this classic cookbook will arm you with the skills to create wonderful meals, shockingly fast. The million-copy bestseller is now available in a fully illustrated and searchable ebook format for the very first time. Beautifully designed and easy to navigate across all devices, in colour and black-and-white, cooking quick and healthy meals has never been simpler. With ingredient and recipe finders, nutritional information and a user-friendly design, Jamie's 15-Minute Meals ebook is an innovative new way to experience one of Britain's most-popular cookbooks of all time. 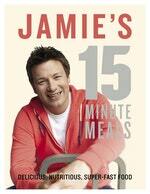 %%%Jamie Oliver's 15-Minute Meals is now even better in ebook form.